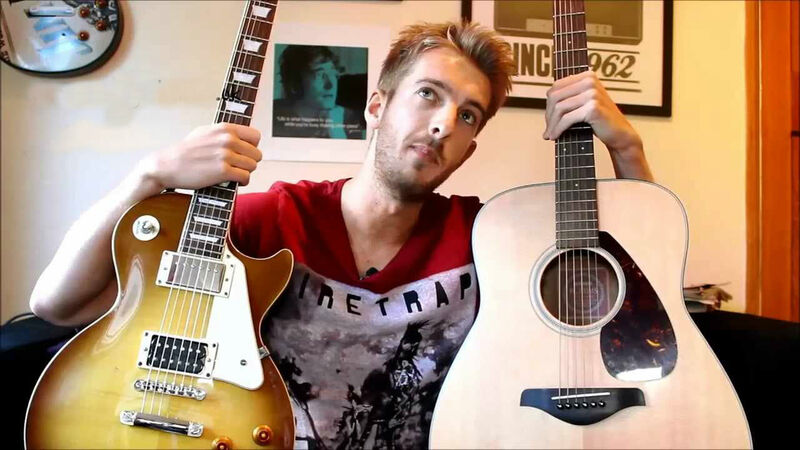 A Guitar for Beginners: Which Type Should You Choose – Electric or Acoustic? A gift your child can always benefit from is the gift of music, or better yet, the chance to learn how to play a musical instrument. This is something that can open a door of endless possibilities including helping the child develop better mentally and emotionally and the chance to find out if they are musically talented. This is also supported by science, as there are studies the findings of which show that learning to play an instrument stimulates the brain , enhances verbal memory, spatial reasoning and literacy skills. Taking these facts into consideration, you shouldn’t hesitate about surprising your child with a brand new beginners guitar especially if the child shows an interest in learning how to play one. However, it might be confusing for the parents to choose the first guitar for their children, as there are several options to pick from regarding the type, the size and the build of the guitar. Read on to find out more. The standard acoustic guitars might be too big for your child’s small hands. Fortunately, there are sizes of acoustic guitars suitable for kids younger than 12 years. These guitars are usually 3/4 the size of the standard models. Also, they are the more affordable option because no amp investment is needed, so they would be perfect for a child who has never held a guitar in their hands before and wants to test the waters. Furthermore, acoustic guitars have higher action which means the child must press the strings down harder. This sometimes can cause hand cramping and blistered fingers. However, perseverance will pay off eventually, as the child can play with stronger hands, calloused fingertips and increased dexterity. Finally, experience has shown that it is much easier to transfer from acoustic to electric type rather than from electric to acoustic type of guitar. Electric guitars, on the other hand, are considered the easier choice to make for a beginner. The main reason for this is that even though they come in fewer available sizes, they are comfortable enough as there is no soundbox to get in the way and the flat body provides a better chance for a full grasp. They are also great for beginners as they are usually sold with a starter pack which includes a guitar, an amp, a gig bag, all of which provide the opportunity to receive feedback. However, they are more expensive than the acoustic models, but if your child shows a serious interest in learning how to play, then you shouldn’t hesitate to invest in it. Finally, maybe the most important thing when choosing the beginners guitar for your child is the necessity for the guitar to be fully inspected and adjusted. If it is unadjusted, it will be difficult to push the strings down to get a clear note and this might lead to frustration and eventually giving up. The quality of the guitar and the playability is another important factor which can provide your child with a greater opportunity to learn, develop self-confidence and experience a lifetime of musical enjoyment.